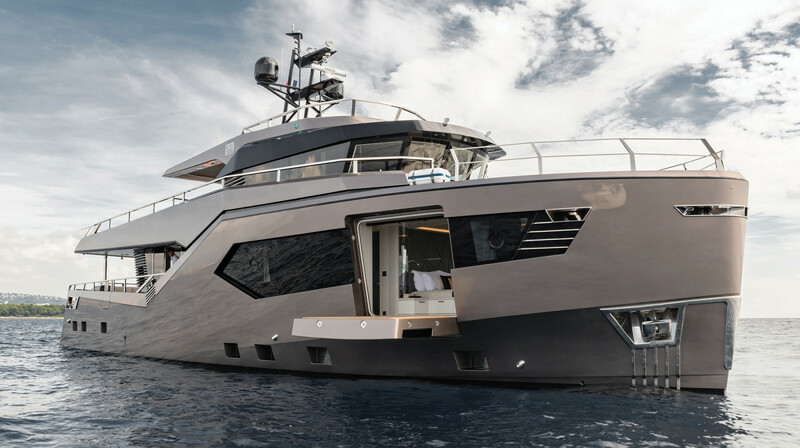 The boldly styled, steel-hulled 78-footer is the result of a collaboration between yacht design studio Vripack and an up-and-coming Turkish yard. 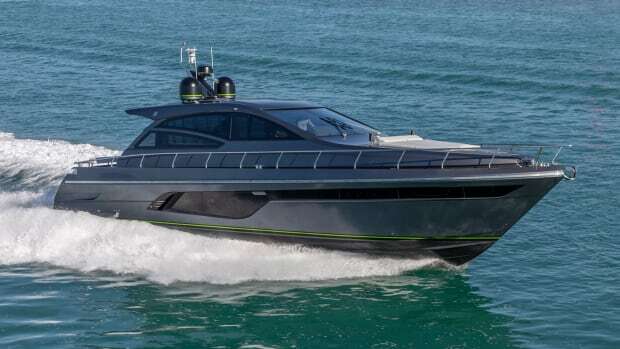 The descriptive “crossover” is gaining traction in the yachting world along with the overused “explorer yacht” as a catch-all to categorize vessels with luxurious interiors and the ability to reach far-flung destinations. 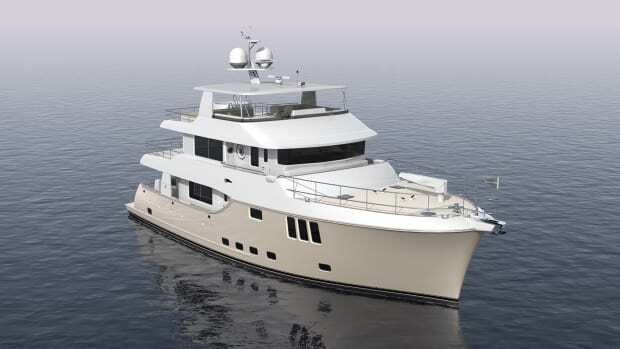 Each would be a fitting moniker for Evadne’s tri-deck, 78-foot Rock. However, they’ve taken the nomenclature one step further, calling their latest launch an SUV, short for Sea Utility Vessel. Her geometric, all-angles profile tells part of the story. According to Vripack Creative Director Bart Bouwhuis, Hull No. 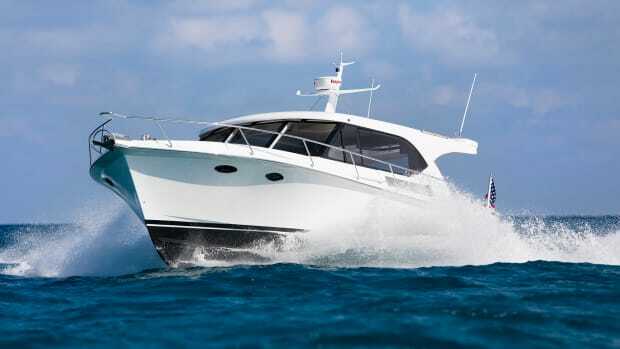 1’s owner felt the aesthetics of explorer yachts lacked a sensual appeal. 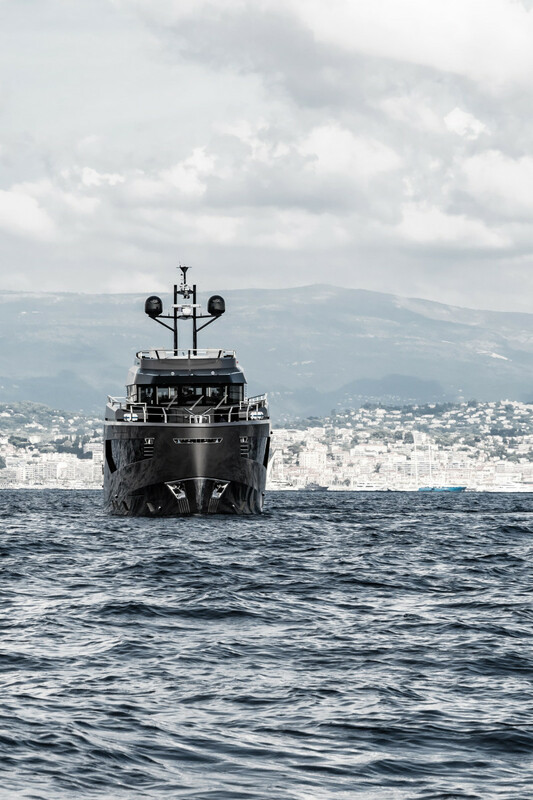 “He approached us and said, ‘give me something new and fresh,’” said Bouwhuis, further describing how the client, a quarry magnate, requested a vessel with the characteristics of marble—toughness, durability but with a tactile quality—in an appealing, go-anywhere package. 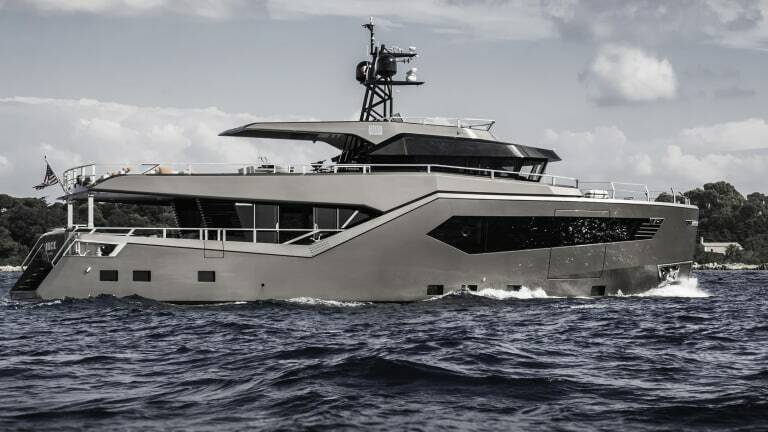 Per usual, the acclaimed Dutch studio nailed the design: Rock’s striking exterior is a cool counterpoint to current explorer yacht design. 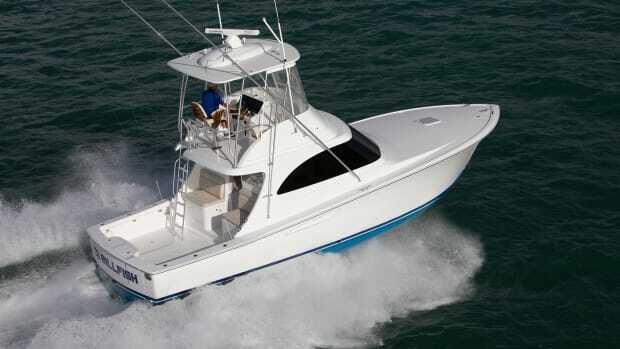 She has a vague resemblance to a navy vessel, with a high, straight bow, reverse-raked windshield and muted paint scheme. Her steel hull and aluminum superstructure are analogous to military-spec ships as well. From here, her design diverts from working craft in just about every regard. Cut-away bulwarks angle up slightly as they move astern, echoing the lines of the huge, teak-clad lounge deck fitted with an alfresco galley replete with bar stools, a sextet of settee/sunpad combos and sit-down dining for a dozen guests. A removable canvas top provides shade to a generous portion of the space, and glass panels close off the command bridge allowing captain and crew to work without disturbing guests. Hidden aft in the superstructure is an Opecmare davit to launch a 12-foot, 6-inch Zodiac from the lower or upper deck. The space above the wheelhouse surprised me. 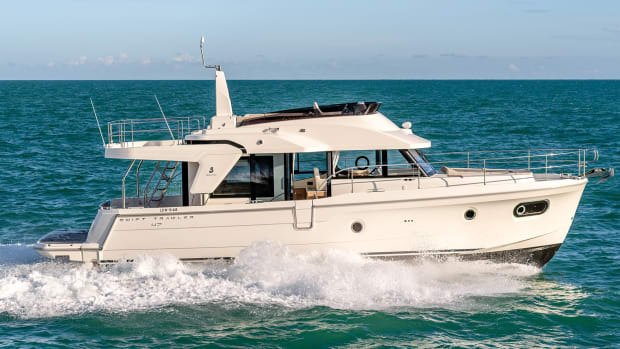 Where one might find an open flybridge, Vripack graced the 160-square-foot area with a large hot tub and pair of chaise lounges. Dubbed the Jacuzzi deck by the designers, it’s a private space away from prying eyes with some of the best views onboard. 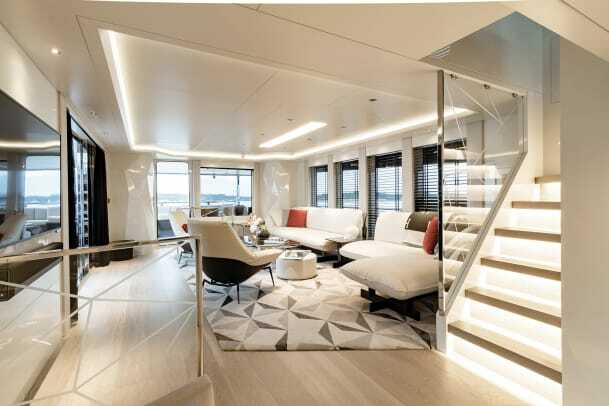 The views are also remarkable in the split-level salon, dining area and main-deck master thanks to massive windows in her hullsides; the master’s fold-down balcony further connects the owner to the sea. Belowdecks, the sweet spot looks to be the aft staterooms where four guest berths are at water level, looking out past the swim platform via a full-length window in the transom. With room for eight guests and four crew, Vripack says Rock has 25 percent more living space than boats in her size range. “We approached the project from a human-centric design, placing the clients and their needs in the center and designing around it,” Bouwhuis told me, saying they’d never have come up with this layout with another approach. 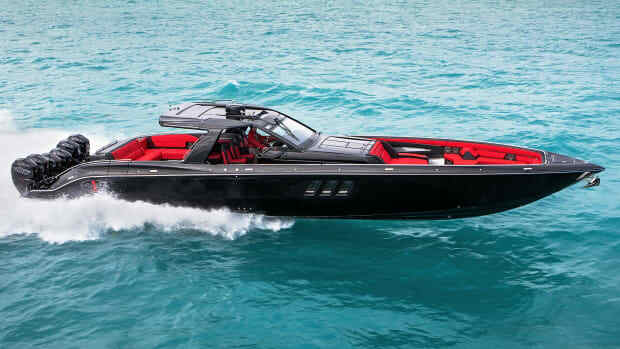 Powered by twin 1,000-hp Cat C12.9s, Rock’s fast-displacement hull allows a 12-knot cruise and top end of about 16 knots. 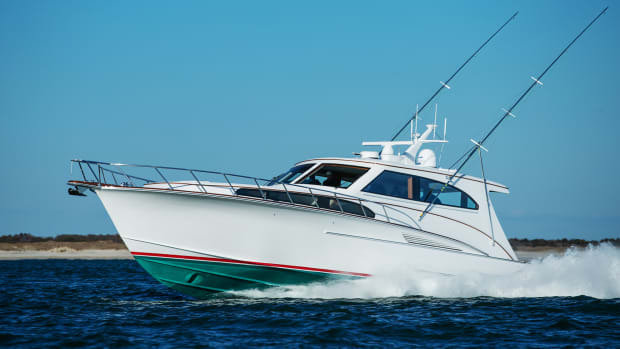 Back down to 9 knots and she earns her go-anywhere nickname with a 3,000 nautical mile range. Humphree’s electric fin stabilizing system keeps her steady as she goes, and a draft shy of 6 feet allows entry into skinny waters off-limits to boats in her size range. The Tuzla-based yard has Hull No. 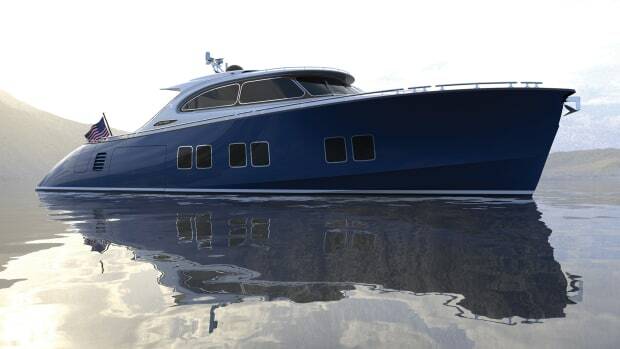 2 currently under construction and a 100-foot version in the design phase, with Vripack providing their design acumen. Look for Evadne to continue to make an impact in this segment. 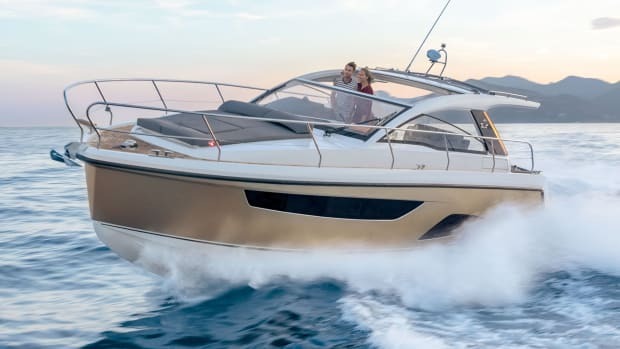 This article originally appeared in the June 2019 issue of Power & Motoryacht magazine.